Join American’s favourite humorist hell-raiser straight off the the U.S. Convention trail in conversation with Tom Switzer. Hot off the US convention and campaign trail, America’s favourite living wit and best-selling author PJ O’Rourke is heading to Sydney to deliver his Dangerous State of the Nation talk at the Sydney Opera House in collaboration with CIS. 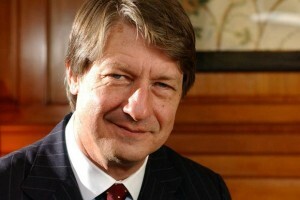 PJ O’Rourke is a collection of curious contradictions. Roaming foreign affairs correspondent for Rolling Stone magazine for 20 years, he is also a libertarian Republican satirist who recently reluctantly backed Hilary Clinton as “the second-worst thing that can happen to [America].” Former gonzo Editor of National Lampoonand writer of Parliament of Whores: A Lone Humorist Attempts to Explain the Entire U.S. Government, he is now the HL Mencken Research Fellow at the Cato Institute. Whether you share his political persuasions or not, his penchant for stiff drink or not, PJ O’Rourke has the rare ability to make you laugh out loud while provoking you to think about the big issues. Join humorist hell-raiser PJ O’Rourke for a rollicking ride across the US political landscape and a firsthand assessment of the candidates hoping to make it into the White House in 2017. Please refer to the Sydney Opera House event page for further pricing information and terms and conditions. For all general booking enquiries please email the Sydney Opera House Contact Centre or call on (02) 9250 7777 for more information.